Exuding elegance, relaxation and luxury, it's easy to see why this stunning bathroom received the 2018 Bath of the Year award. 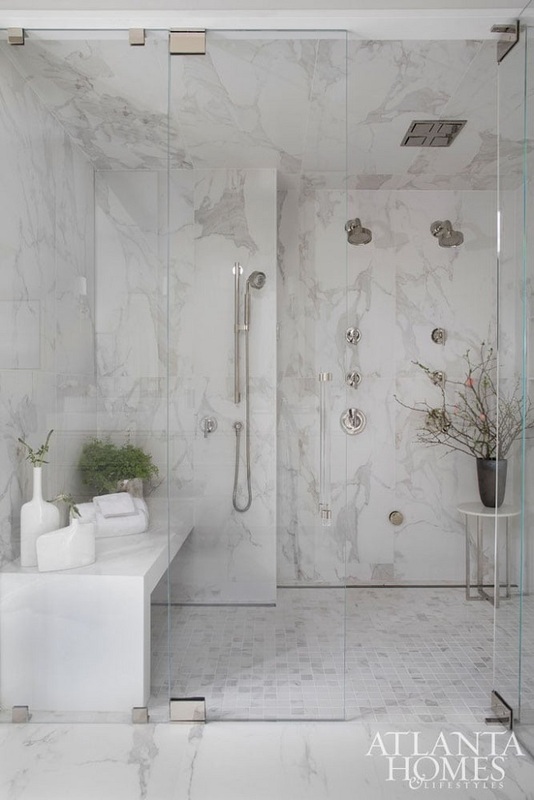 Designed by designer Shawn Amtower from B Design, this award-winning bathroom absolutely has it all; double sink vanities, a private makeup vanity area, a freestanding tub and a spacious steam shower with double doors. I can't get over the beautiful details such as the lovely oval window, the pocket doors that can closed off the makeup vanity area, the luxurious marble flooring, the dramatic floor to ceiling drapery, the gorgeous acrylic pulls and the elegant crystal chandelier. A simple palette of whites, soft taupes and bluish grays increases the tranquility factor. 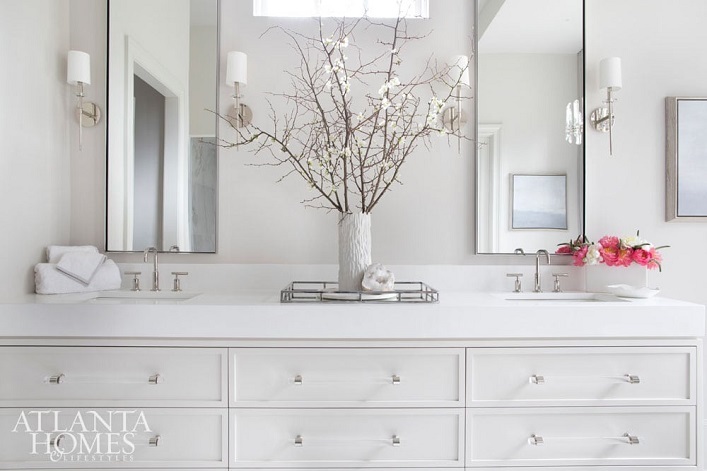 There's so much style and inspirations to take away from this dreamy bathroom, don't you think? What are your thoughts?